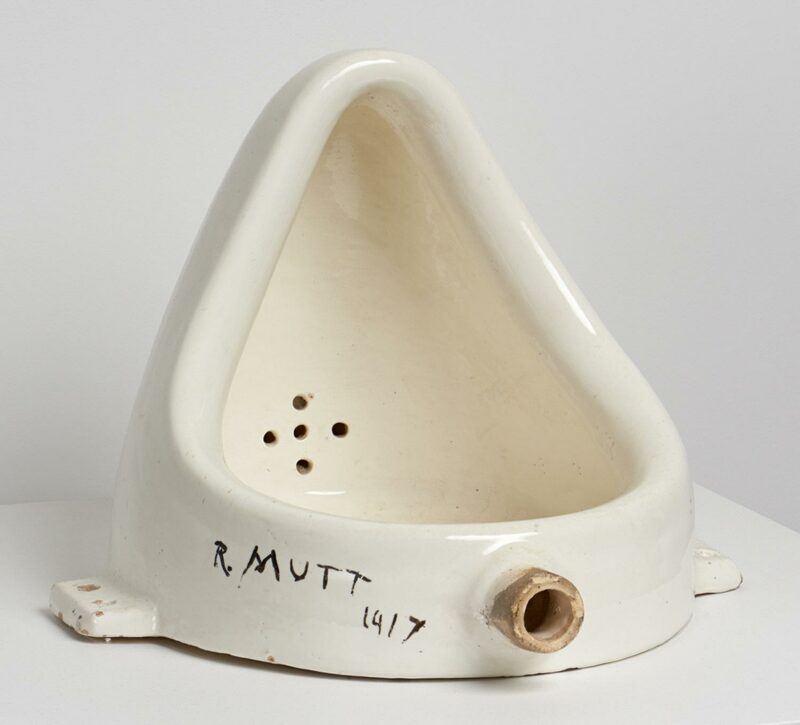 Fountain is among the most infamous artworks of the twentieth century. Yet, the original was lost shortly after it was submitted to the Society of Independent Artists’ first exhibition in April 1917 and rejected by the hanging committee. 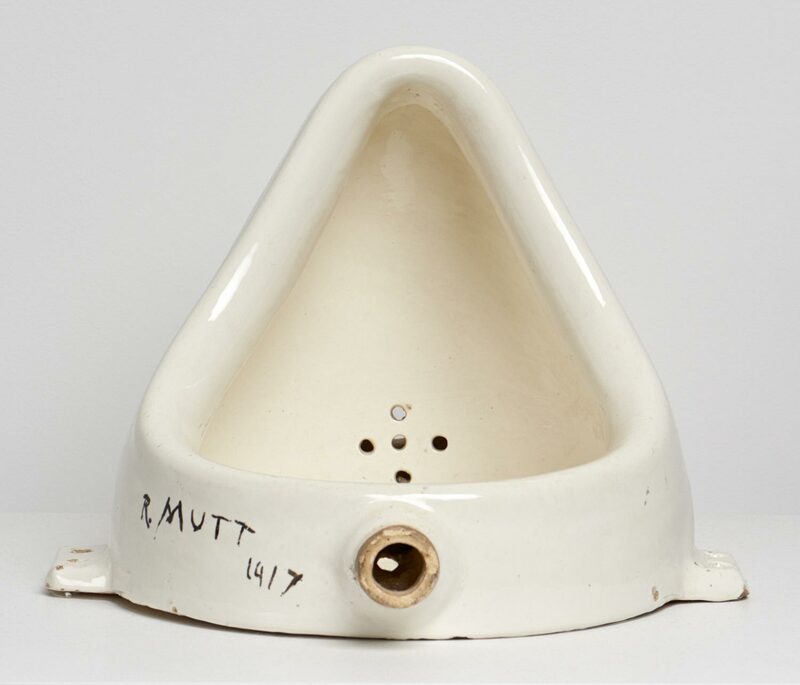 The work became known later as an icon of New York Dada primarily through replicas, which Duchamp created first in miniature for his Box in a Valise (1935–41, Philadelphia Museum of Art, 1950-134-934). 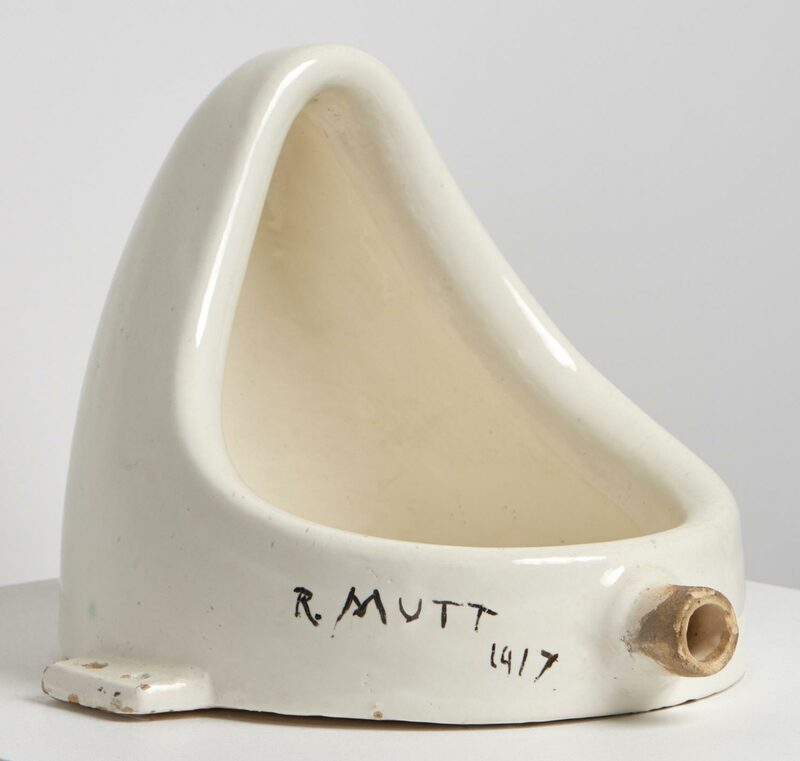 Then in 1950, for the exhibition Challenge and Defy at the Sidney Janis Gallery, he authorized Janis to purchase this urinal secondhand in Paris and added his original inscription. This was the version of Fountain seen by Cage, Rauschenberg, and many others in exhibitions throughout the 1950s and 1960s.